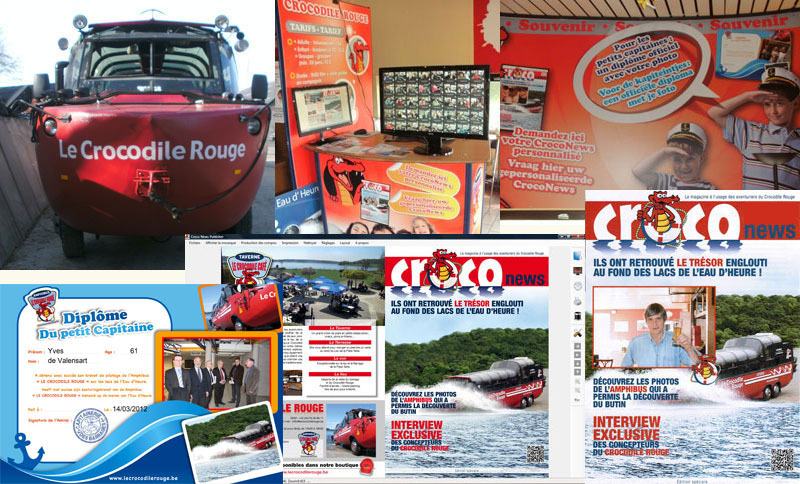 It allows to print a Newsletter with automatic insert of choosen pictures.. Visitor will choose his preferred own picture on the big screen, and user just have to click on their own 2nd screen to print the document including added picture. Print on both side if printer able to. Technically, we have develop a specific software, adapt a computer for 2 screens management, and linked a printer. Computer can receive the pictures from camera by cards exchange or wireless.